Julia, why are you using the name "Joules"? Hey Julia, why are you using the name "Joules"? Yes, my formal name is Julia. I'm named after my great grandmother, Julia Kinney. A handful of years ago I checked how many people shared my name. 1200 Julia Martins and 2000 Julie Martins. I needed a way to distinguish myself from others that shared the same name. My nickname is "Joules". That particular spelling (newtons of energy) is from spending many years riding electric powered mountain bikes and producing an e-zine about electric powered bikes. There you have it. That's how I came to be known as Joules and business name JoulesPaints. 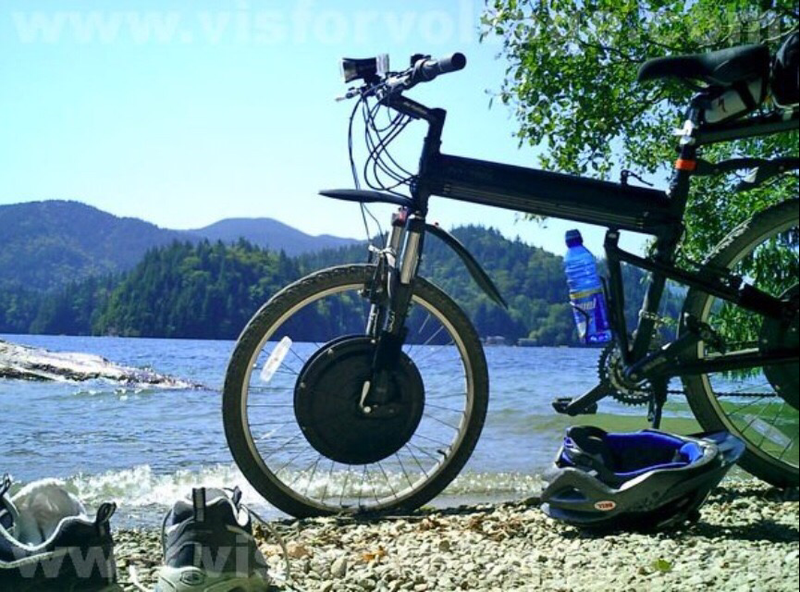 Electric Hybrid Bike designed for the military. This Tidal Force bike was one of my favorites!